On February 28th, H.E. 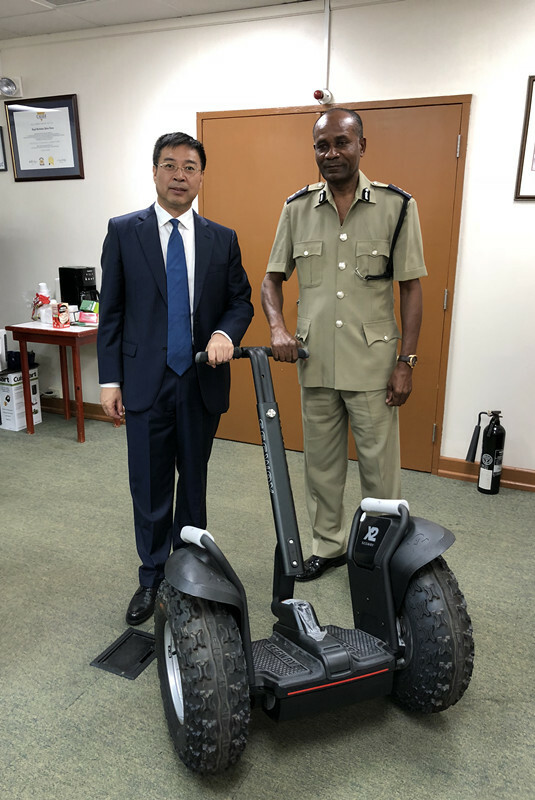 Yan Xiusheng, the Ambassador of the People’s Republic of China to Barbados attended the handing-over ceremony for two segways from the Chinese Embassy in Barbados to the Royal Barbados Police Force. Mr. Zou Xi, Political Counsellor of the Chinese Embassy in Barbados, Mr. Tyrone Griffith, Commissioner of Police and all the Assistant Commissioners of Police of Barbados attended this ceremony. During the ceremony, Ambassador Yan expressed that in recent years, fruitful achievements have been made in the area of law enforcement cooperation between China and Barbados and it has already become a significant part of the friendly relationship between the two countries. It is without any doubt that with the donation of two segways, the patrolling and emergency response ability of the Royal Barbados Police Force will be further improved. 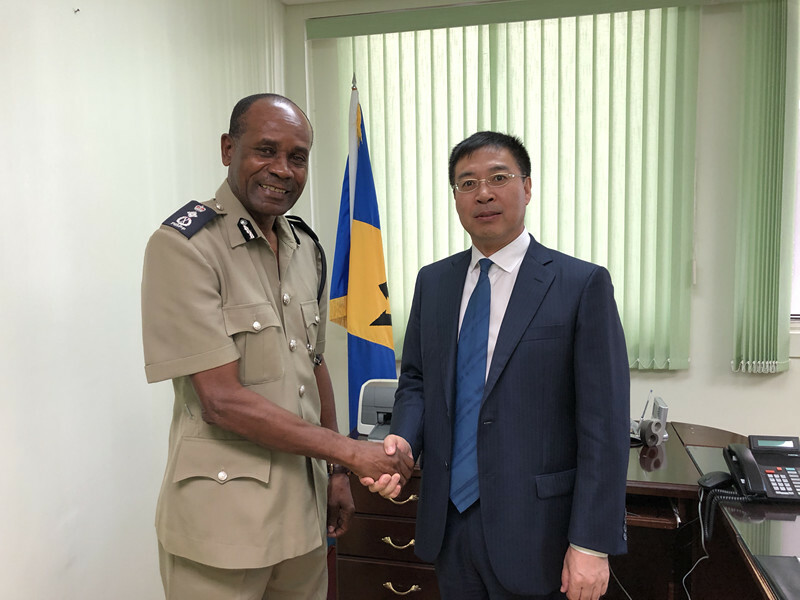 It is also hoped that the Royal Barbados Police Force will better safeguard the Chinese citizens while they are visiting, working and living in Barbados and the Chinese Embassy in Barbados will continuously provide as much help as we can to facilitate the capacity building of the Royal Barbados Police Force. Commissioner Griffith highly praised the outcomes that have been achieved in the area of combating transnational crimes between Barbados and China, and also thanked the Chinese side for its support that has been provided to the Royal Barbados Police Force. The donation of two segways will enhance the Royal Barbados Police Force’s patrolling capacity in tourism spots and improve the overall security situation in Barbados. The Barbados side is willing to further deepen the long-lasting and good relationship with the Chinese Embassy in Barbados and will provide better security for the Chinese companies and citizens in Barbados. Before the start of the ceremony, Ambassador Yan and Commissioner Griffith expressed opinions on the mutual interests between China and Barbados.